View More In Floor Matting. NoTrax General Purpose Rubber Tek-Tough safety/anti-fatigue mat for wet or greasy area. Tek-Tough is an all purpose anti-fatigue mat for the food service industry available in general purpose black. Tek-Tough is designed to provide excellent foot comfort and sure traction in wet or greasy areas. Its large hole drainage system facilitates the removal of liquids and debris from work areas, further enhancing slip resistance. Modular design with available connectors and attachable beveled ramps reduce trip hazards, allowing for a variety of on-site custom configurations. Application requirements: flexible configurations, varying exposure to grease and oils, drainage, anti-fatigue, anti-slip properties, custom lengths, food processing and food service. Measures 2-feet length by 3-feet width by 7/8-inches thickness. If you have any questions about this product by NoTrax Floor Matting, contact us by completing and submitting the form below. If you are looking for a specif part number, please include it with your message. 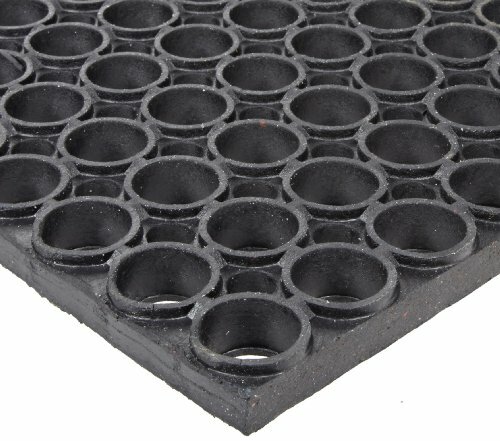 98 67 05 Insulating Mats of Rubber 19, 69"